As I am unable to attend Cancon 2014 I thought instead that I would hit the international circuit. The Broken Bayonets wargames club in Kuala Lumpur, Malaysia, host an annual De Bellis Antiquitatis (DBA) competition called DeBAKLe (get it? DBA KL). It seems that one of the important things about DeBAKLe is that is should not be held in the same year that it is planned. So, for example, DeBAKLe 2013 is being held on 15 February 2014 1. Kuala Lumpur is just a short bus trip up the Peninsula from Singapore 2. and the cost of the return trip is about SG $70 (more if a really luxury coach with meal service is required, less, about MYR 68, if travel is to and from Johor Bahru). This compares to a cheap flight on JetStar or AirAsia with a cost of around SG $128-165 3. I think I have decided to take the bus and enjoy the scenery … before the sun goes down. I asked some of the guys from the Broken Bayonets what sort of armies were prevalent in the competition as I thought I would try and match with something contemporary. I was told that the armies were from all over and that they tended to be none of the world beaters but rather, there was a certain honour in competing with crappy armies. I have quite a few of those in the lead pile. Now I am trying to decide which army to paint and take. I have Burmese and Khmer back in Singapore ready for paint and they are an option. I also went into the lead pile and started to look at what I had down there that could be painted, would look quite good but which would earn points for being crappy. The first cut through revealed the following. 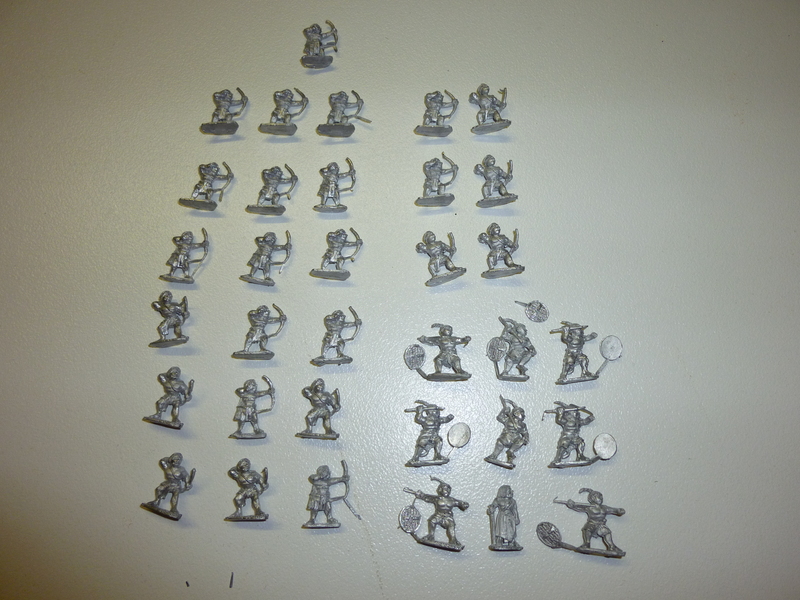 The figures are the old Gladiator range, now owned by Black Hat Miniatures. I always liked the old Gladiator Miniatures and these are quite nice figures. 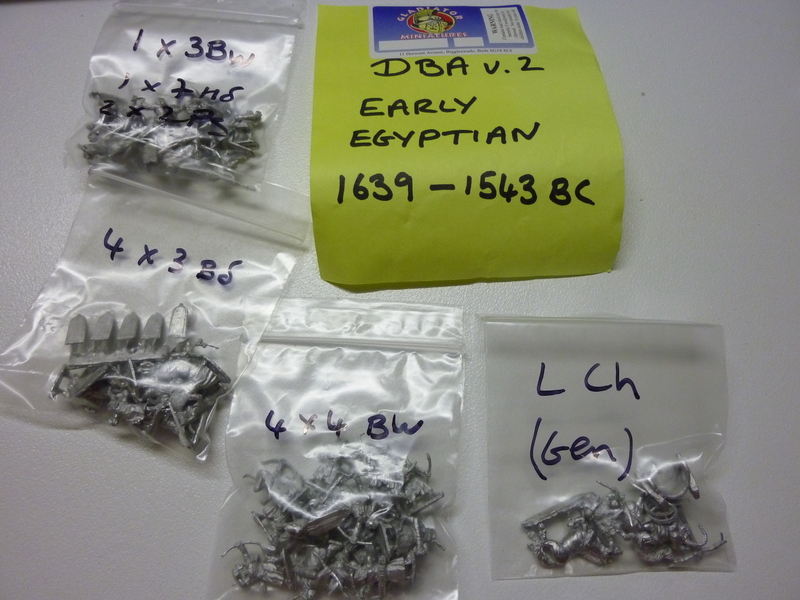 I figure that as I have been offloading my DBMM Biblical armies, I could hang on to a few DBA ones. As this army is a mix of Bow General (never used one of them before), Warband, Psiloi and Bow, this army would rate for the “not a powerful army” award! These are really nice figures and have a strike force of four chariots (one of which is the general). They are backed up with some useful foot troops. The biggest issue with these though is really the chariots. Whilst they are very attractive they look like a beast to actually put together. I’m thinking of ruling them out because of that. The Early Egyptians are also a really nice set of figures (all the Black Hat Miniatures are to be honest). There is a Light Chariot General with the main strike force coming from a combination of Bow and Blades. As with the Hyksos, biggest issue with these though is really the chariot. It is a good looking chariot but squeezing Pharaoh and the driver in is gojng to have me without finger prints again for a week as the super glue slowly peels off. I’m thinking of ruling them out because of that. The Early Bedouin are sweet figures and the army itself cannot be described as anything other than challenging. The general can be either in a chariot (and this one seems a little better to work with than the ones mentioned above) or a Camel general or Auxilia. 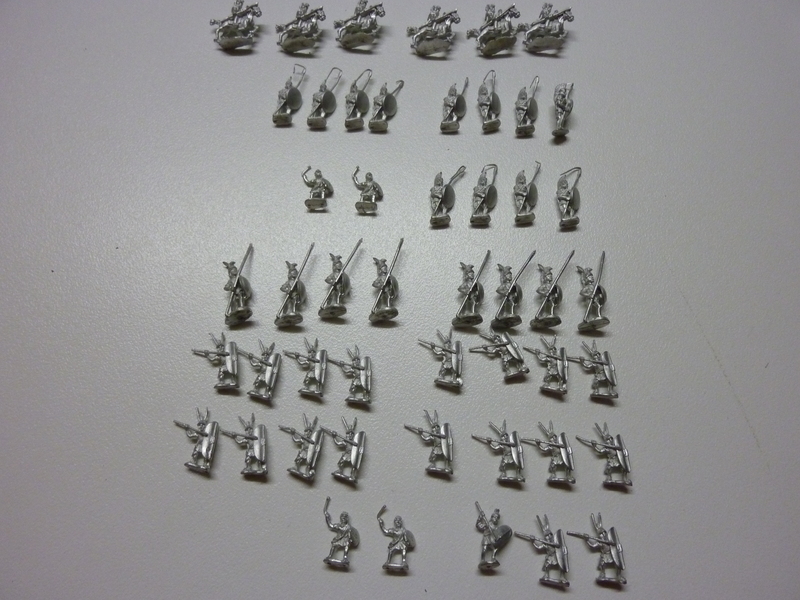 The rest of the army is a mix of Psiloi and Auxilia. I am leaning towards this army as, for a competition army, it is truly awful. It’s rating would be around 185, assuming and Auxilia General to 208/209 (chariot or camel general). This is quite low. I don’t like these.figures very much so I think I can rule this army straight out, although as far as armies go it is not all powerful but could be a useful force in a competition environment. Two cavalry elements, seven spear elements, two psiloi and one auxilia means that the army rates at 248, a lot more than the Bedouin. 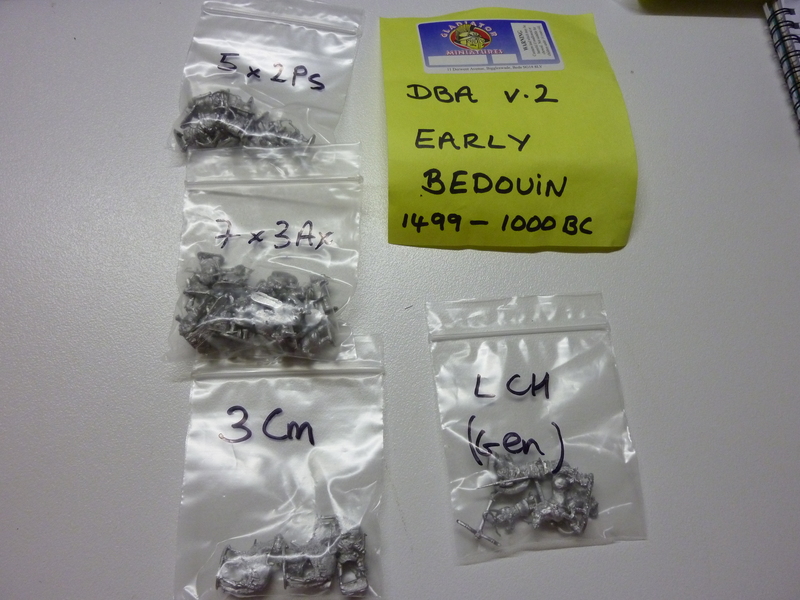 The variable size Museum 15mm ranging from small to huge – truly David to Goliath – but Roman! 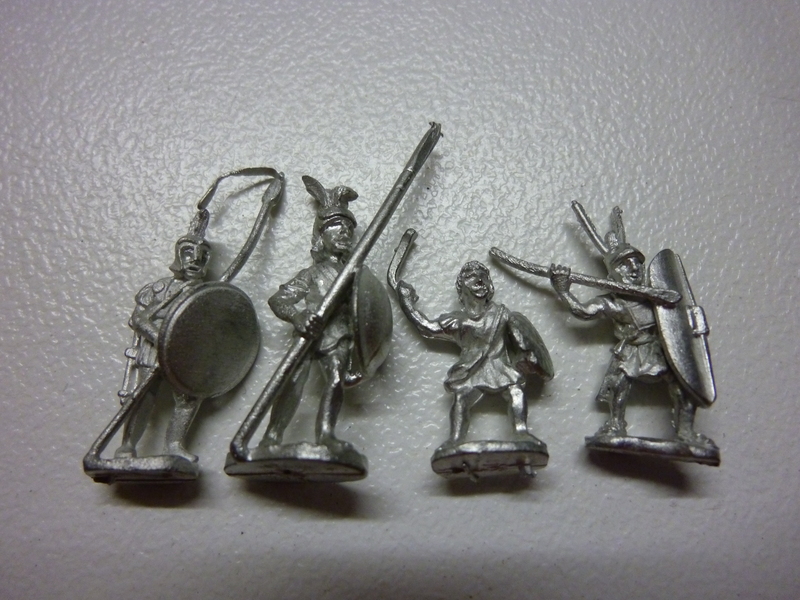 One of the problems with the Tullians however is the variable sizes of the Museum figures – regardless of whether you like the style of the figures or not there are huge size differences in these figures. To be fair, I think in part it is because these figures are old and perhaps I purchased them in the time between starting a re-sculpt of a range and finishing that re-sculpt although the hoplite and the slinger really are a David and Goliath! 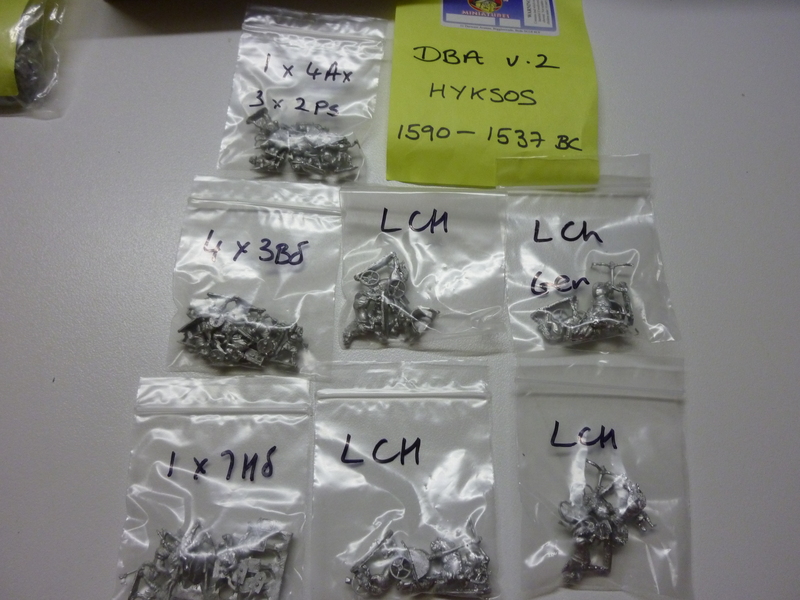 So, there are a couple of possibles from this lot for the DeBAKLe 2013 army. Some interesting armies in your lead pile. It will be interesting to see which army you finally decide on. With regard to figures, I have been very frustrated with some Museum figure size variation in the past. I assumed they still suffer from this issue, though I could be wrong. Their Successors are a constant size and have interesting animation. Similarly with their Byzantines which are generally constant in scale. But these are all over the place like a mad dog’s breakfast. Could you ask them to put the details somewhere that does not require a Facebook log-in to view them? Thanks. I’m making inquiries and will publish something when I can give definite answers. In any case, it is on in Kuala Lumpur on 15 February 2014 – other details to follow. and he will be happy to answer questions and pass of details. Surely this would be the perfect excuse to paint up the Khmer 😉 — or would they be too competitive? The Nubians could be the dark horse of the competition. With Dry terrain and Ag of 1 the fragility of this army could be overcome by judicious placement of dunes and an oasis.